Coast-to-coast you'll find DaVinci polymer roofing tiles atop many different churches. While each church recognizes the benefits of the long-lasting synthetic roofing tiles, perhaps the churches that appreciate them the most are the oldest ones. 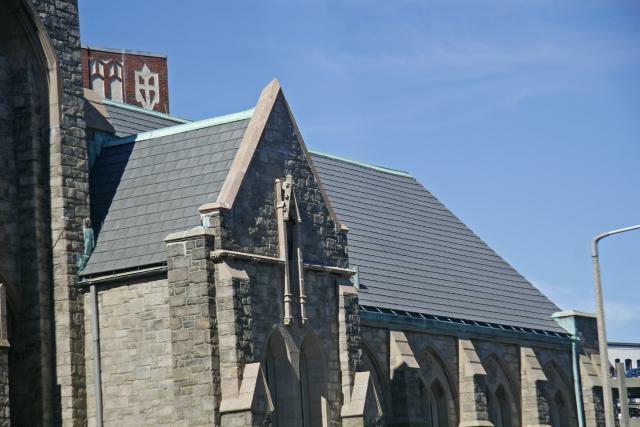 “This simulated slate roofing product truly looks like the original slate tile that was placed on our church and chapel more than 75 years ago," says Father Peter Grover, OMV with St. Clement Eucharist Shrine in Boston. "The Bellaforté product allowed us to preserve both the historical look and feel of our facilities. We also gained the advantage that these polymer tiles resist fire, high winds and severe weather. That gives us all peace-of-mind knowing that our church facility and seminary are protected." 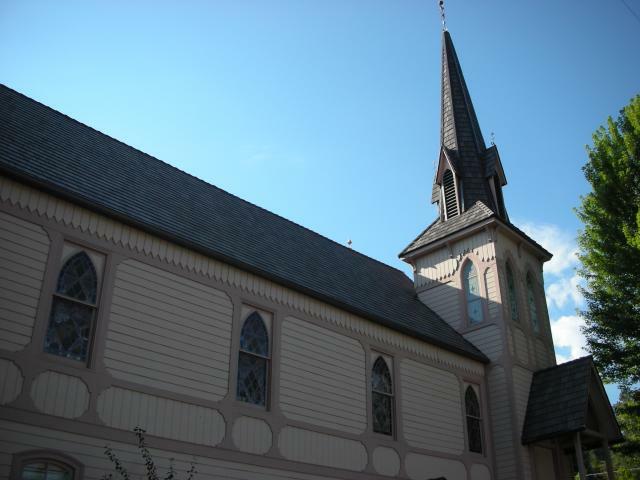 In Jacksonville, Oregon, the town's Historic Architectural Review Committee approved a DaVinci Roofscapes shake shingle roof to replace the decaying cedar shakes on the roof at the historic First Presbyterian Church of Jacksonville, which opened in 1881. A Tahoe blend featuring five shades of brown in multi-width composite shake tiles provides the church with the authentic cedar look they desired. "Our entire town is on the national historic register and we had to receive permission from the Historic Architectural Review Committee to use the DaVinci roofing product," says Dave Harter, elder at the First Presbyterian Church of Jacksonville. "Because the product looked so authentic to real cedar shakes and had a better fire rating than wood shingles, the committee made the decision for the first time ever to allow polymer roofing tiles on a structure in our city." The DaVinci lightweight roofing materials used for both churches are Class 4 impact rated and have been rated Class A for fire retardance. The fake slate and fake cedar shake roofing materials have also achieved the highest ratings for straight line wind testing at 110 mph and have passed testing for extreme weather conditions. Backed by a 50-year limited lifetime warranty, DaVinci plastic roofing materials resist insects, fungus, algae, mold, cracking, fading and curling. Looking for more details on how imitation slate shingles are used to create eco friendly roofs? Then visit Historic Church Gets High-Tech Polymer Roof and Historic Peterson House Gets DaVinci Polymer Roof.